Nov. 12, 2016 2:00 p.m. Photos and mementos from Letisha Reimer's participation in the Run for Water were among items on display during her celebration of life on Saturday at Central Heights Church. Letisha Reimer’s daily attire consisted of white Converse sneakers, ripped jeans and a T-shirt, her mom told hundreds of mourners attending the teen’s celebration of life Saturday afternoon in Abbotsford. 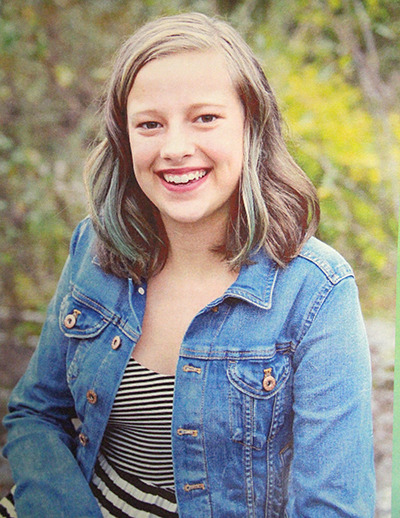 “This is what she wore that morning when I dropped her off at school, and that is what she wore this morning when we said our goodbyes,” Ellie Reimer said tearfully during family tributes held during the service at Central Heights Church. More than 1,000 people attended the celebration of life to remember Letisha, who died Nov. 1 after being stabbed in a random attack at Abbotsford Senior Secondary. Her 14-year-old friend (who can’t be named due to a publication ban) was seriously injured, but survived. 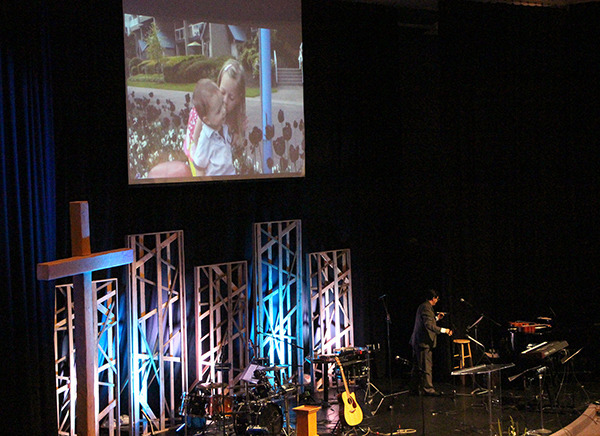 Although Letisha worshipped at South Abbotsford Church, the service was scheduled at a larger venue to accommodate the hundreds of people who attended. The Abbotsford News was among media invited to the service. In her tribute, Ellie recalled the last serious conversation she had with Letisha on the day before her death. The two were in a car alone and Ellie told her daughter that although being a teenager can be difficult and new, being the mom of a teen was also new for her. Letisha’s dad Uli spoke of holding his daughter as a baby one particular night when she was having difficulty sleeping. He recalled how her tiny fingers tightly gripped his sweater. “She wasn’t letting go and neither was I,” he said. Uli said Letisha was someone who wouldn’t back down from a challenge, loved outdoor activities, helped out wherever she could and was a role model to her younger brother and sister. “There are special moments in our life that we will never forget and also never get a chance to do, but one thing’s for sure, Letisha. You impacted us and others in way you will never understand. You will always have a special place in my heart,” he said. Letisha’s uncle, Garry Reimer, shared her life story, saying she was an active teen who loved hiking and going on hunting trips with her dad and who completed the Run for Water five years in a row. In the past, she swam, dance and played rugby. Garry also noted that she had a contagious laugh and a loud voice. He said one of her highlights was being able to travel recently to Disneyland with her family, and she also had the opportunity to travel to Paraguay three years ago and meet many of her extended family members. Mike Olynyk, youth pastor at South Abbotsford Church, said Letisha had a “vibrant faith” and played an active role in many of the youth groups at the church and on the youth leadership team. She also travelled on two missions trips and had signed up to do another one next summer. He said she had an infectious laugh, a zest for life and a strong compassion for others. “She lived life to the fullest,” he said. “We may be crying, but she is laughing and singing and dancing,” he said.